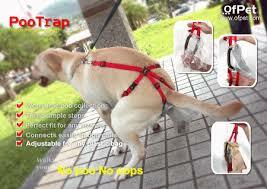 Following on from Heart like a Dogs post on the poo harness contraption. I just had to share this video which I found on the brilliant the dog snob blogs. Obviously an automated dog walker for when walking your dog is just too much effort!! I do want to say a MASSIVE thanks to Jodi and the Dog Snobs for inspiring todays post. There blogs are amazing so please do pop across and say hi, and tell them I sent you! Enter your email address so that you don't miss out on any of my... well random mussing!